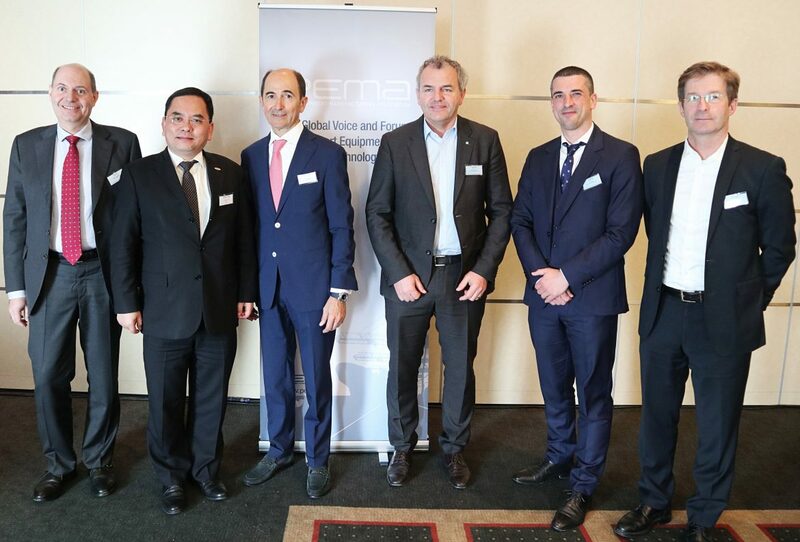 At the PEMA Annual General Meeting held in Amsterdam on 20thFebruary 2019 attended by over 130 delegates representing the 110 members of the Association unanimously elected to the Board for a period of 3 years Mr Ottonel Popesco, Director of FIMER SpA Group as President & Chairman of Board and Mr Huang (Fred) Qingfeng, President of ZPMC Group, as Board Member. Port Equipment Manufacturers Association (PEMA) elected Mr Ottonel Popesco as President and Chairman of the Board and Mr Huang (Fred) Qingfeng as Board member for the next years. “As a common voice of the Port industry, PEMA’ s goal is to support the diffusion and awareness of new technologies related to safety, automation, environment and will continue this job our members entrusted us “said Popesco. “We are delighted to give our contribution and share our experience worldwide as one of the leading players in the industry for the development of the Association” said Fred Qingfeng. Founded in 2004, PEMA provides a forum and public voice for the global port equipment and technology sectors. The Association has seen strong growth in recent years, and now has 110 member companies representing all facets of the industry, including crane, equipment and component manufacturers, automation, software and technology providers, consultants and other experts.